On this Valentine’s Day, I reflect back to when I first met Patricia, the ideal modern woman, desirable on so many levels: artistic, strong, beautiful, and smart. I placed her high upon a pedestal. And being the saint that I am, I did this despite the fact that her cooking skills left something to be desired. Judge not, I thought, she is a victim of the times — times during which it was simply not fashionable to “just stay home to bake cookies.” But she loves good food and is a quick study. And so, (after many culinary renditions of “The Rain in Spain”), I am most pleased to debut Patricia’s version of Pasta e Fagioli. You’ve come a long way, baby! And I must say, as an ideal modern man, I am ecstatic that American society now recognizes that the art of cooking transcends both gender and politics. Cooking is giving and giving is love. And love is universal. So cook your heart out. Spread your love with food. And do it with Patricia’s Pasta e Fagioli! p.s. Check out our wine pairings to compliment this dish. In a large pot, over medium heat, sauté the onions, celery, carrot, and garlic in the olive oil until the onion is translucent. Add the basil. In a separate skillet, cook the pancetta until golden brown. Add the pancetta to the vegetables, lower the heat and cook for 2 – 3 minutes. Place 1/3 of the beans in a small bowl and mash them with a fork until they become a paste. Add the remaining beans and the bean paste to the vegetable mixture. Add the salt and pepper, then mix the ingredients for another minute over low heat. Add 4-6 cups of water, to cover the beans. Add the bay leaf. Raise the heat to boil the liquid. Add the pasta. Cook the pasta al dente (about 2 minutes less than package directions). Add additional water if there is insufficient liquid. [Depending on your preference,] the result should be a thick soup. Serve with salt and pepper to taste and grated Parmigiano. 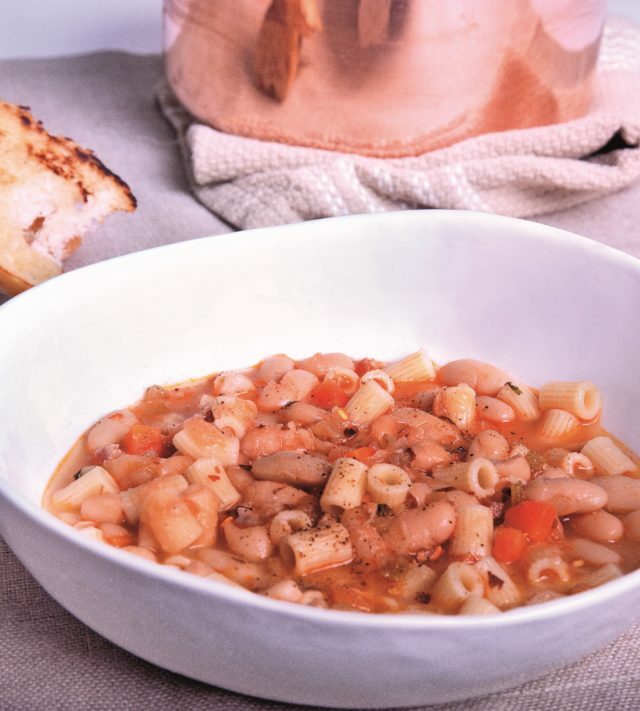 Like so many popular Italian dishes, there are multiple versions of Pasta e Fagioli – not just one for each region, but more like one for each town, or one for each kitchen. You can use any type of beans, broth instead of water, add tomatoes, prosciutto, any variety of spices (like bay leaf, parsley, sage, thyme, basil, etc.,) and instead of short pasta, you can simply break long pasta into pieces. It’s all pasta e fagioli! 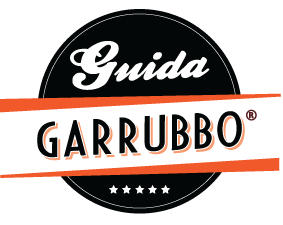 Pasta is missing from the ingredient list……what kind and how much do you recommend?